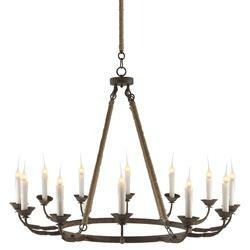 A simple yet stunning chandelier with rusted iron arms and burlap rope accents. August 29, 2016 by Brooke C.
Love it! It looks good quality and is even better looking in person!